The Florida disaster preparedness sales tax holiday starts on Friday and runs through June 7. WEST PALM BEACH, FL — With hurricane season set to begin Friday, Floridians can save on batteries, flashlights, and other storm essentials during the entire first week of June. Florida Gov. 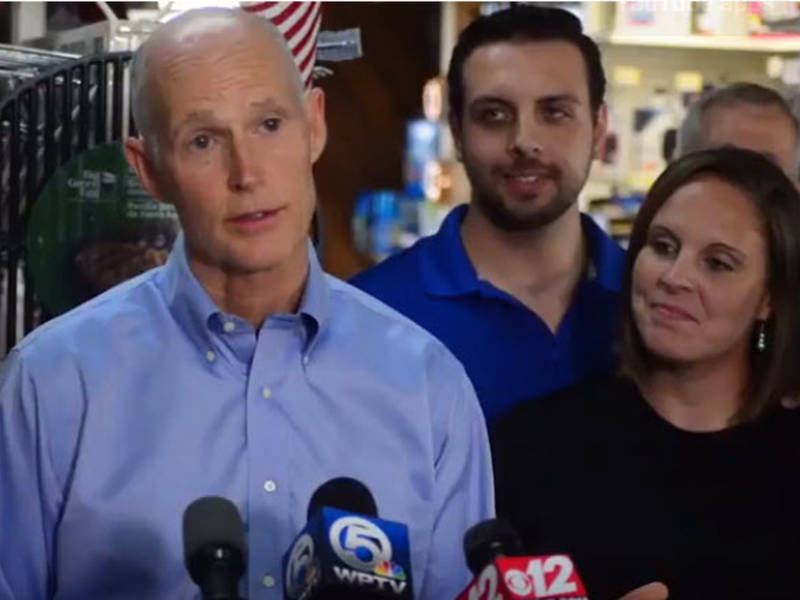 Rick Scott traveled to Hall Hardware in West Palm Beach to highlight the state’s upcoming hurricane preparedness tax holiday. The program extends to certain goods up to $750. “This year with the support of the legislature, I asked for a longer timeframe for hurricane preparedness,” Scott said on Tuesday. The governor said more than six million people were evacuated throughout Florida and 700 shelters were opened during last year’s hurricane season. The tax holiday runs from June 1 to June 7. Scott said it will save Floridians $5.8 million. Radios powered by batteries, solar or hand cranks, including tw0-way and weather models $50 or less. Reusable ice or ice packs $10 or less. Other preparedness items that are already non-taxable, include bottled water, canned foods, first-aid kits, prescription baby food, baby formulas and prescription and non-prescription medications, including most over-the-counter medicines. Visit FloridaDisaster.org for help with hurricane planning.